Barbara Ryan has been a lecturer in public relations since 2005, when she joined the University of Southern Queensland after a 20 year career in public relations and journalism. She became interested in disaster communication in her last PR role as communication co-ordinator during bushfires. 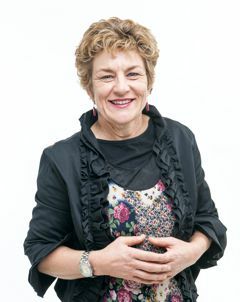 She has since completed a Ph.D on how people get information when their community is in a disaster (RMIT), developed and delivered a graduate certificate in emergency and disaster communication at USQ, and undertaken a number of research projects into preparation and response communication. The biggest, with the Bushfire and Natural Hazards CRC, four Australian agencies and three Queensland councils, investigates the ideal approach to community engagement in terms of triggering preparation activity. Barbara is also a volunteer community educator and firefighter with Hampton Rural Fire Brigade (Queensland Rural Fire Service).